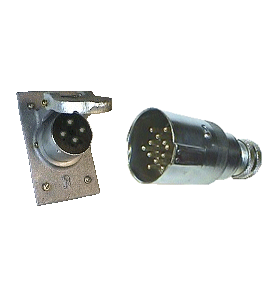 Triploc connector plugs and receptacles are best suited for power and control connections in ordinary locations. Applications: Control/Power connectors for ordinary indoor industrial applications. Spring loaded coupling mechanism available in an 'Auto' release style. Termination in both solder and pressure styles. Approvals: CSA and UL approvals apply to specific items.